Farmers’ inputs in a recent study show that the population of some bees in Odisha has declined by 80%. Since around 2002, farmers in Odisha have been noticing that fewer bees visit their fields each year. It was not just one single species of bees that began to disappear, but several, many of which farmers knew were linked to the health of their fields. They are not alone. For years, similar anecdotal information has been streaming in from farmers in places as far apart as Punjab and Kerala, Maharashtra and Tripura. Scientists so far have found it difficult to verify this information, largely because of the lack of already existing data to compare it with. A study published in the peer-reviewed journal Biological Conservation in May 2017 now tries to augment India’s information by looking at data from farmers instead. The study confirms a view that has been considered unorthodox by some in the scientific community – that those who live on the land are often its closest observers and that their contributions to scientific knowledge should not be dismissed. Ominous reports of bee colonies collapsing seemingly without reason have been reported around the world at least since 2006. Reports of species extinctions have become increasingly common in the last few decades, but the case of bees has particularly alarming implications for human existence. This is because bees are pollinators, which is to say that they help plants to transfer pollen from male to female parts and so help in fertilisation. 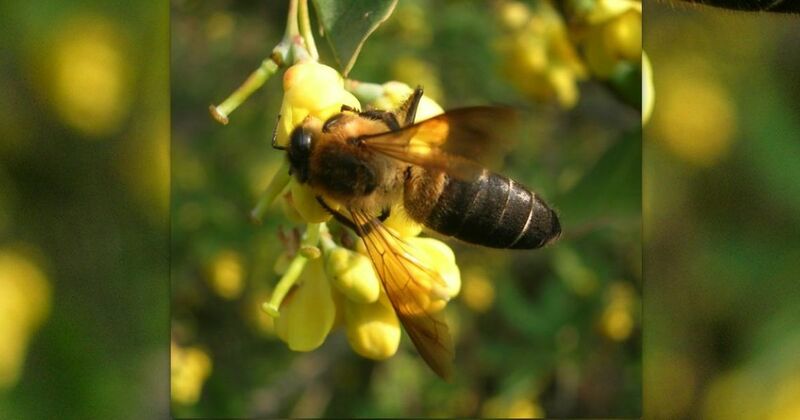 While staple crops such as paddy and wheat self-pollinate, many vegetables and fruits rely heavily on external pollinators such as bees to reproduce. In the absence of these pollinators, productivity might decline as much as 80% for some plant species. The mystery has perplexed scientists around the world for 20 years now. Three studies released around 2012 narrowed down the cause to neonicotinoids, a very popular class of pesticides that can be lethal for bees’ functioning. Studies after that have complicated the adverse relationship between bees and pesticides, linking their decline also to intensive agriculture that is known to contribute to lower biodiversity. India might not have monocropping on the vast scale of Europe or North America, but many of its farmers do practice intensive agriculture – where land is not being deforested and consumed for industrial purposes. This and other studies from the Centre for Pollination Studies make perhaps the most significant contribution to the growing knowledge base around bees in India. Since 2011, Basu and his team of scientists, along with local field workers – all of whom are mentioned as co-authors in these papers for their work in collecting data – have been documenting different aspects of the bees’ decline, including higher rates of oxidation in honey bees exposed to pesticides, which makes them age faster. As expected, land with lower pesticide use had higher diversity of bee species, according to another study from the centre. A third study showed that bees exposed to pesticide stress lost their sense of smell due to warping of their antennae – and so were unable to return to their hives, which contributes, again, both to their eventual starvation and to the collapse of the hive at large. (Image credit: Ken Walker, Museum Victoria/CC-BY-3.0-AU). It is not just pesticides that are contributing to the decline of bees. Ironically, it might be efforts to promote bees in general in India that is leading to a further decline in their diversity and prevalence. The question of pollinators and their decline are urgent enough that the central and various state governments are seeking to address it. They are doing this not necessarily through funding more research on documenting and explaining how bees are affected by modern intensive agriculture, but by promoting beekeeping as a means to augment farmers’ incomes. With bee boxes, the government promises the productivity of crops will increase and farmers can also benefit from selling the honey that these bees will then produce. 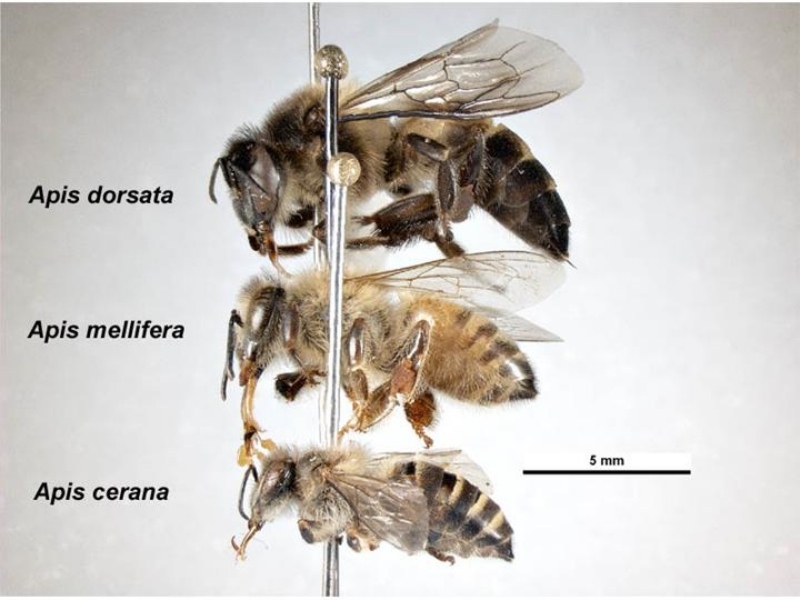 However, with an eye on numbers, the Union and state governments are promoting non-indigenous bees, mostly Apis mellifera, a Western European bee popular for its high honey production and for being less inclined towards swarming. The organisation works mainly by attempting to work with Adivasi communities to shift from honey hunting, which is destructive, to beekeeping. As a policy, Under the Mango Tree attempts, as far as possible, to maintain local diversity. Before starting to work in an area, Krishnamoorthy said, they conduct surveys of the kinds of bees in the area, and then help farmers transfer local populations into their bee boxes before training them for up to a year on how to maintain them. As with many others working with bees across the country, Krishnamoorthy has also noticed a decline in bees wherever the organisation goes, and this too she anecdotally links to pesticides and intensive farming. But even beekeeping might not be the holistic answer to solving the crisis of pollination that seems to be looming over India. Urbashi Pradhan is a conservation biologist associated with the Ashoka Trust for Research in Ecology and the Environment, who is studying the role of forest fragments in the ecosystems and lives of people outside protected areas in Sikkim. Part of her work involves studying the role of pollinators in that ecosystem, including not just bees but other animals such as flies. As pesticides are banned in Sikkim – the state recently went fully organic – the problems of pollination here are not exactly the same as in other parts of India, Pradhan said. Sikkim too has attempted to promote an Africanised sub species of Apis mellifera, but the programme has not taken off. It does, however, highlight another significant problem. When a single species gets an artificial numeric advantage, others battling for the same spot in that ecological niche might lose it, thereby reducing overall diversity.